With an aggressive knob pattern and cross-ply construction, the Mitas E-09 provides carnivorous traction in difficult terrain with long wear on necessary blacktop. 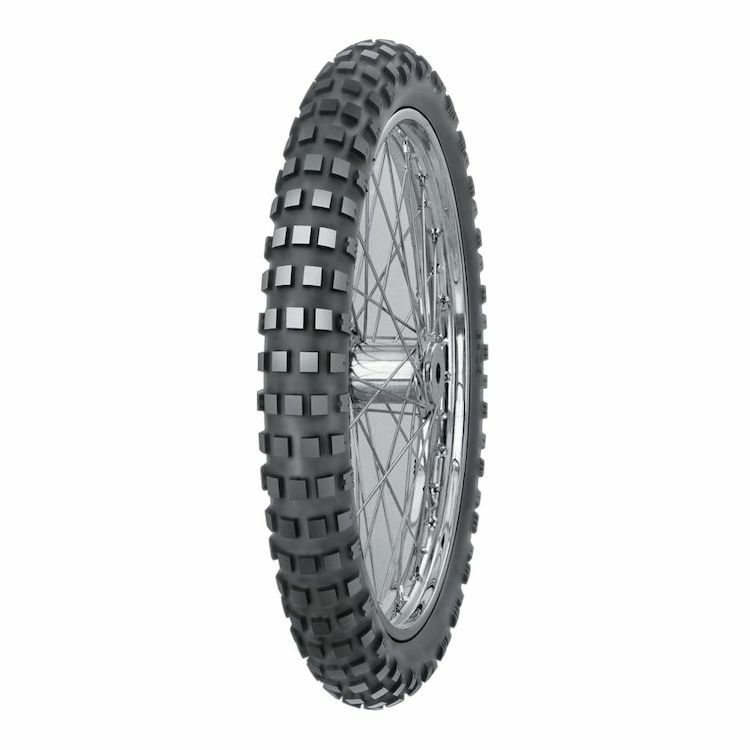 This Dakar version is constructed with thicker sidewalls for greater puncture resistance. When I had my GSA this was my knobby of choice. I live in SoCal and ride in mostly dry desert conditions so wet pavement and mud aren't something I see much of. My three primary likes are great off road traction, tread life (30% more than TKC-80) and stiffer sidewalls (why I won't run the TKC-80). I used to get these very cheaply from Canada (~$140) but then once they came to the US the price went way up. In Europe these are even less expensive. Many are eagerly awaiting the 170 width. So my KTM 1190 Adventure R wore down the original Conti TKC-80 in about 2400 miles. So I looked around for something that might be as good off-road but yield better overall mileage. I ride off-road for about 50% of my miles - it always kills me to wear down my knobbies on the street but sometimes that's where you gotta go. Anyway, I was hoping to get more miles from the Mitas E-09 on the rear. That's not what happened. The tire is worn farther than I normally run a tire (~3/32") in about 2100 miles. I ride somewhat aggressively at times (hard acceleration/braking) so your mileage may vary. Off-road performance seemed to be on par with the TKC-80's. I was disappointed yesterday to get puncture flat on the road (only 30 miles from home on a 400 mile weekend ride). I couldn't plug it so I had to get towed. So much for the Dakar advantage - to be fair they only claim the sidewall is more puncture resistant and my puncture was between the knobs on the bottom. I'll be trying something else for my next tire. Started getting front vibration at speed with plenty of tread left. Replaced them with the E-07s and liked the E-07s much better. The Dakar version has a thicker sidewall than other tires, which I'm hoping will make flats less likely. I love this tire and run it on several bikes, did the TAT on just this one tire which made it trip much more simple. what does the T or R mean or difference? BEST ANSWER: Speed rating. R is rated to 106 mph and T is rated at 118 mph. The TL is for Tubeless and the TT is for tires requiring a tube. I do not know what the R stands for. I hope this helps. Is this tubeless or tube type tire? BEST ANSWER: The way to tell the difference on the site is look for the letters TT and TL when browsing sizes. TT is Tube Type, and TL is Tubeless. Yes you can use Tubes in Tubeless tires as well. 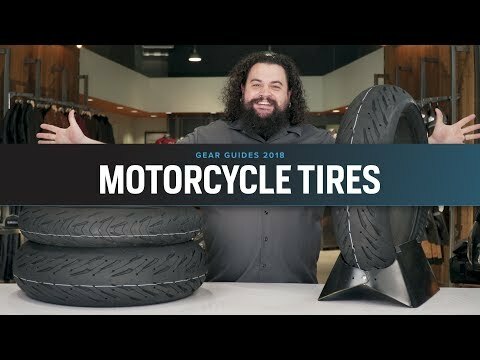 Most Mitas Tires are Tubeless.